If you’re thinking of hiring a car while visiting Boston, why not head south and explore a little of the beautiful Massachusetts coastline? I adore Boston: I love wandering through the pretty streets of Beacon Hill, and playing a bit of ‘if this was my house’ with the lovely brownstones of Back Bay. I love shopping at Copley Place (mostly window shopping – the stores are pretty high end), and the Prudential Centre, and we recently spent a lovely couple of days eating, browsing and sightseeing our way around the city. 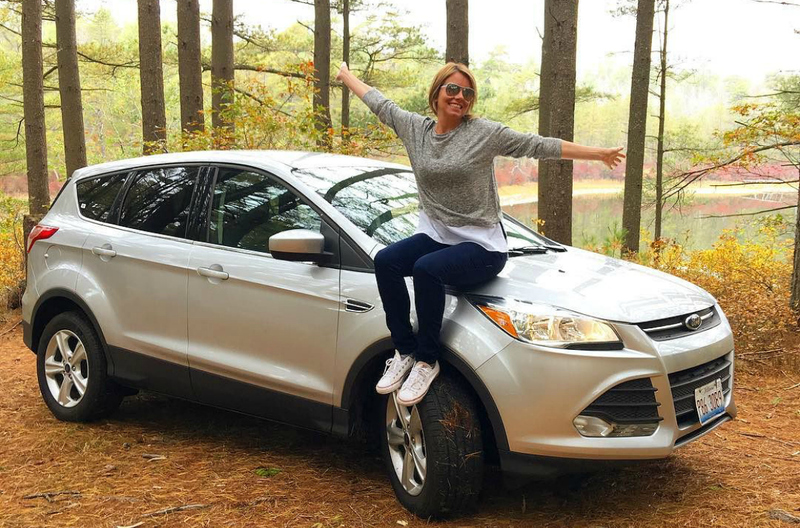 Having picked up our shiny four wheel drive Ford Explorer from Hertz at Boston Logan International Airport, we were also keen to explore a bit further afield. So we set off down the coast of Cape Cod to discover Falmouth and Plymouth, and visit the exclusive island of Martha’s Vineyard. From Boston, we headed south through beautiful countryside, glowing amber in the sunshine (we were lucky enough to visit in the autumn), towards the historic town of Plymouth. Here, we spent a couple of days walking in the footsteps of the Pilgrims that first arrived on the Mayflower and settled in America. It's a pretty town, full of colourful houses, wide, tree-lined residential roads and empty beaches. 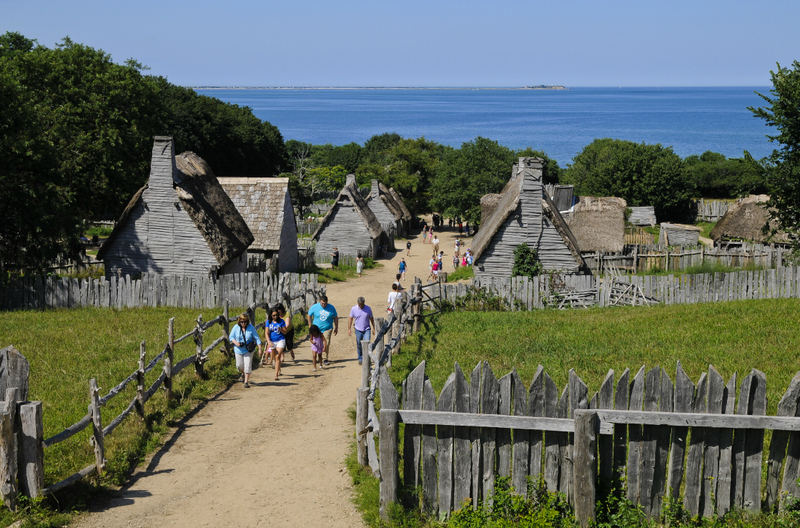 If you’re interested in the fascinating history of those first settlers, it’s worth visiting the Plimoth Plantation, a complete recreation of the Pilgrims’ 17th century English village. Complete with live actors who bring the story magically to life, it’s a sobering experience. Setting off again, we headed further south. We stopped off at the picturesque town of Falmouth, where we stayed at Palmer House Inn, a beautiful old B&B in the Falmouth Village Green Historic District dating back to 1901. Our hosts, Bill and Pat could not have been friendlier, recommending places to visit and local restaurants. We enjoyed our wander back to the B&B, among tree-lined streets full of interesting shops and a great choice of places to eat, lingering in the balmy evening over picket fences and pumpkins on porches. There’s no parking at the ferry terminal at Wood’s Hole. If you’re not taking your car with you to the resort island of Martha’s Vineyard, you have to leave it at the Steamship Authority’s parking facility and take a ten-minute bus ride to the ferry. We decided to take our car with us, and after a 45-minute ferry journey, we disembarked, driving through spectacular scenery towards the more rural west of the island, known as ‘up island’, through West Tisbury, Chilmark and the lovely little fishing village of Menemsha. We stopped at the lovely Orange Peel Bakery at Aquinnah, home to a large Native American community, for a delicious cookie and a chat. We then drove east to the beautiful and exclusive Edgartown, where house prices often top $20 million. It’s quite jaw-dropping, and we spent a while just driving around, stopping to gaze at the incredible homes and to admire the iconic white lighthouse. After a wander around the pretty shops and cafés of Oak Bluffs, we took a stroll around the colourful ‘gingerbread cottages’ of the Methodist Camp Ground. We grabbed lunch at the Lookout Tavern overlooking the ocean, enjoying a chat with a local lady about the island’s famous visitors, including the Clintons and the Kennedys. In the car on the way back to Boston, we promised ourselves a return journey to this picturesque and fascinating area, for a proper road trip. We want more time to explore both Martha’s Vineyard, and the other pretty towns and villages around Cape Cod. For over 10 years, English Mum has been blogging all things travel, leisure and lifestyle. She loves to visit new and exciting places with her family, and in her spare time can be found cooking up something new in the kitchen. Read more at englishmum.com.